Window Well Replacement, The Right Tools. 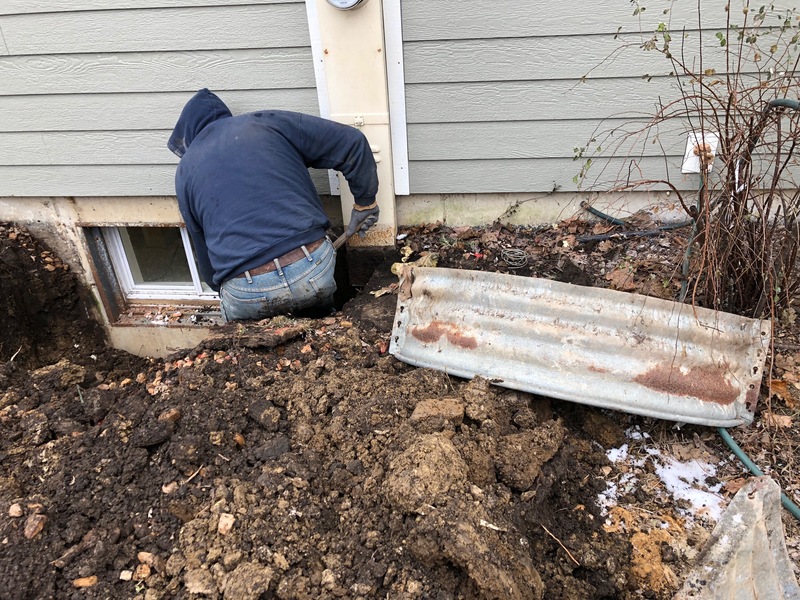 I am replacing the window wells at a customer’s home. He disliked the original ones, which had become old and rusted. He felt that they detracted from his property. 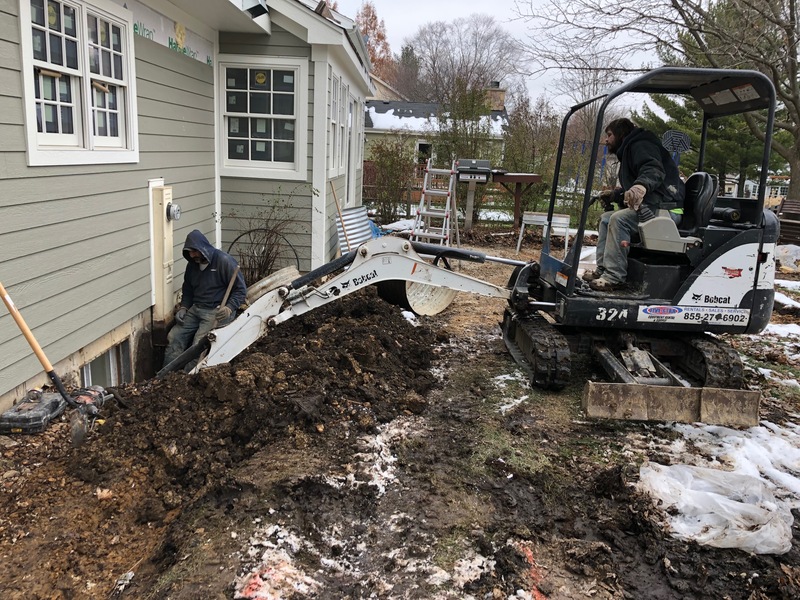 Naturally, the first step in replacing a window well is removing the old one. This can be done manually, but it is a tremendous amount of work. In this case that would have to be multiplied by three, as that was the number of windows wells that were being changed out. A faster and easier method is to combine manual labor with an excavator. If done only manually the job would take 4-5 hours for each window well. However, with the assistance of the excavator, each well can be replaced in about 1 hour. If you have any remodeling or reconstruction needs, please feel free to give me a call for a free estimate. Manually digging out a window well. 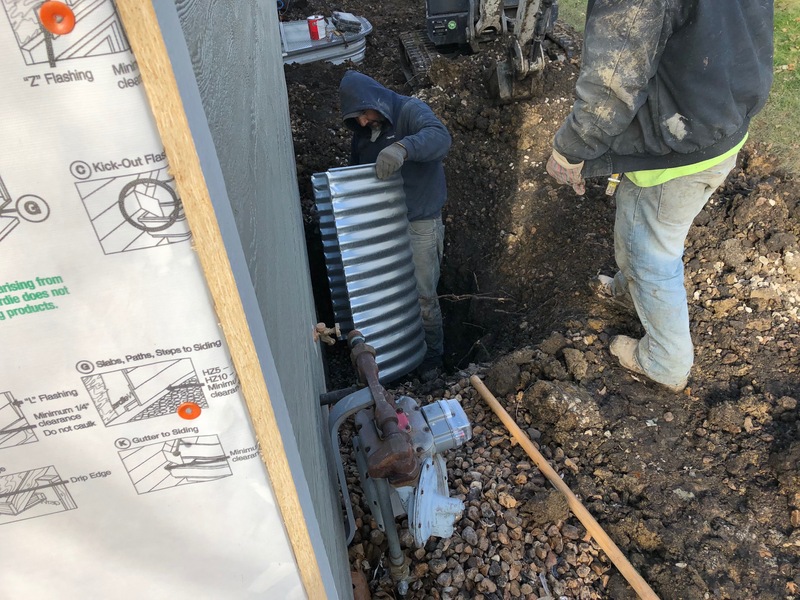 Installing the replacement window well.